Last week in the APL Kitchen it was literally “Time to make the donuts…” since I literally churned out two new recipes for gluten-free, slightly indulgent mini mouth-gasms in the same day and they disappeared within 48 hours…ALL. OF. THEM. So much for practicing portion control:) Our tip for you is to make a batch and freeze half of them for another time! In a mixing bowl, mix together the flour, nutmeg, salt, + baking soda – mix together well. In a medium-sized mixing bowl, combine the milk, vinegar, butter, vanilla, + maple syrup- stir well. Add it to the flour mix + mix well. Form 10-12 mini donuts and place them on a parchment paper-lined baking sheet. Bake for 10-12 minutes. Cool. 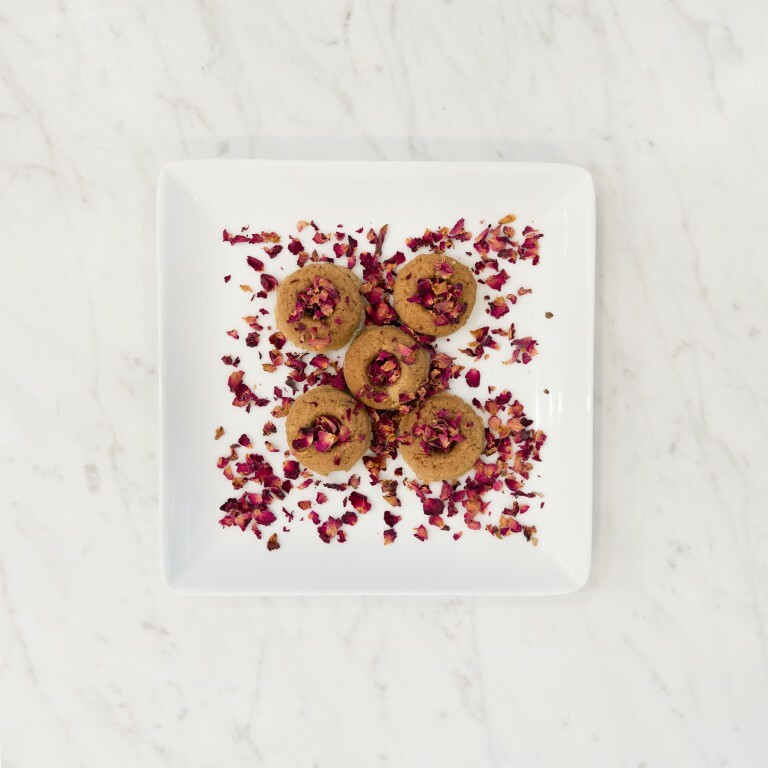 Once cooled, brush with melted coconut oil or Earth Balance and sprinkle with rose petals. Simply mix this all together with an electric mixer + refrigerate for an hour before brushing atop the mini donuts.